Apparently our phone wiring has had the bomb and that is why the home phone crackles and the internet is having so many siestas. I am tempted to let the home phone die and get one of those usb thingys for the internet. I have already replaced my ancient mobile phone with a new one. 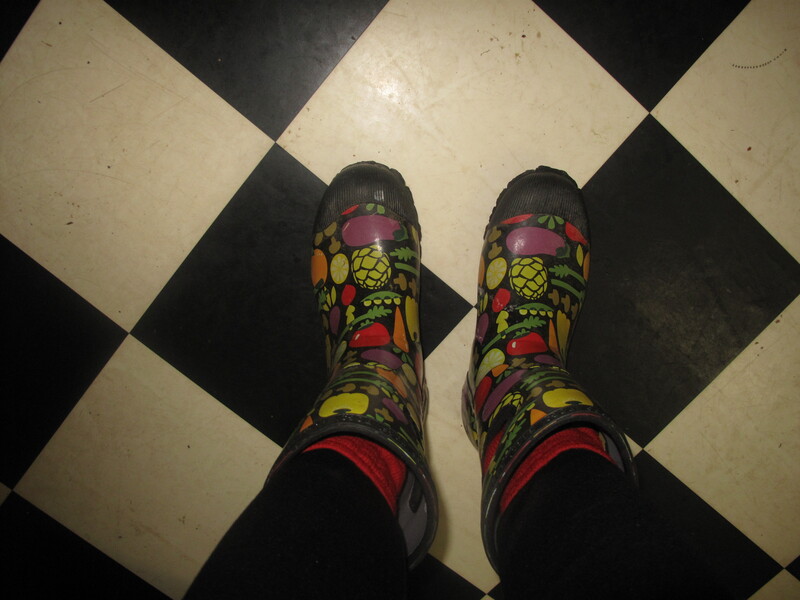 It is still very wet so I am practically living in my wellys. 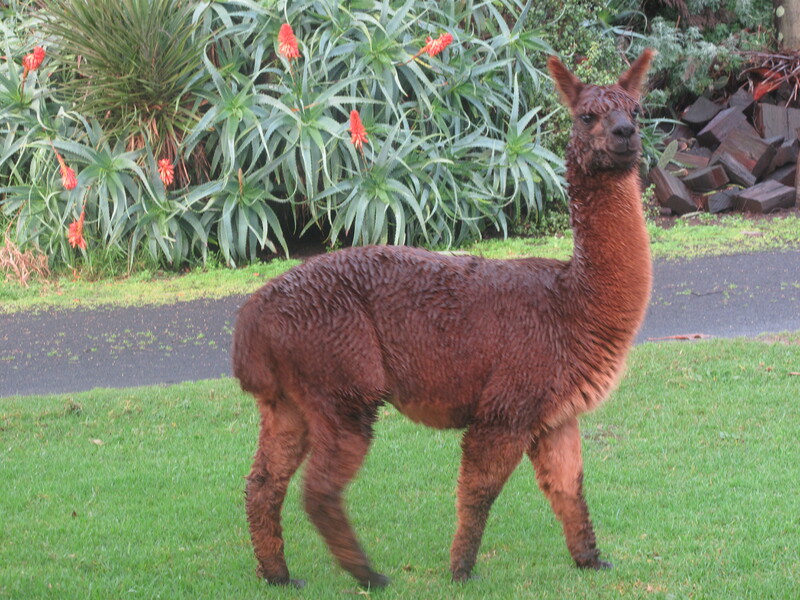 The alpacas are ambivalent when it comes to the rain. They seem to take everything in their stride, although Uluru looks slightly happier than Okami. 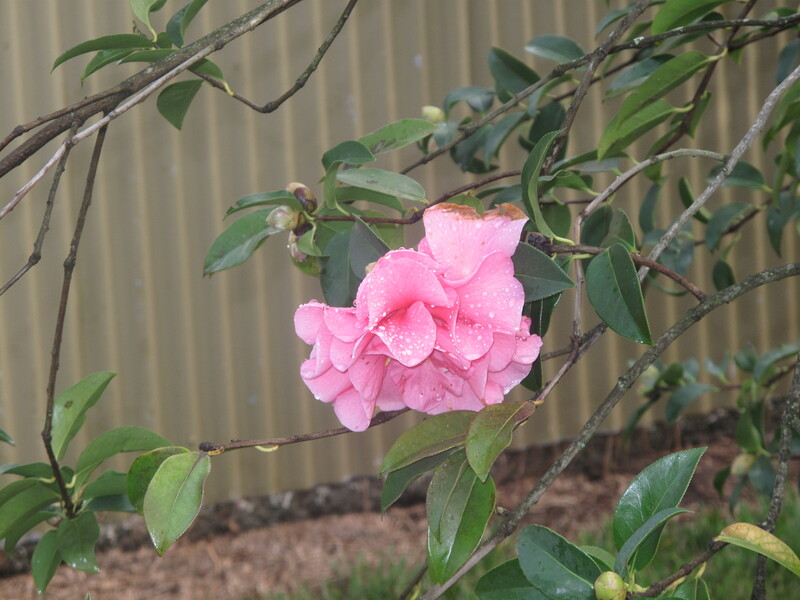 The camellias are responding ecstatically to the rain. Now, even though I can’t think of anything worse than gardening, I do love the dozens of camellias Anthony has planted over the years. The one with the ballerina petals is the only one I bought myself. I took the first bloom into Ants the other day. I’ll take another one in this afternoon. On my way in, I’m hoping to collect a picture I’m having framed for Anthony’s wall. It’s a photo of Ants at around the time I first met him, 35 years ago. Funnily enough, it is not my idea to put this picture on the wall; it’s Anthony’s. I said why not one of our wedding photos, or that one of you on the motorbike with Ming?. But he said no, that he just wanted himself! His self-confidence is certainly still intact; he even got me to blow the photo up to a bigger size! Send the rain this way! 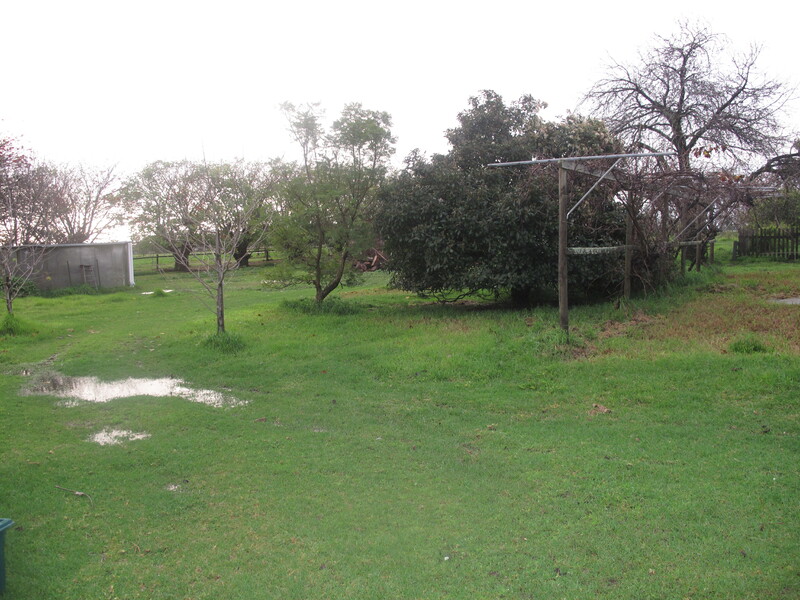 We need it in NTexas – so dry! The camellias are beautiful. Think I’ll look for some to plant this fall. Hmmmm….I wonder how Anthony will react to his big picture on the wall? Let us know. I am whooshing the rain to you! It’s nice to see the alpacas again – I was wondering if you still had them. They look so full of character. 🙂 The camellias looks fantastic. I’ve tried to grow them, but without any success. 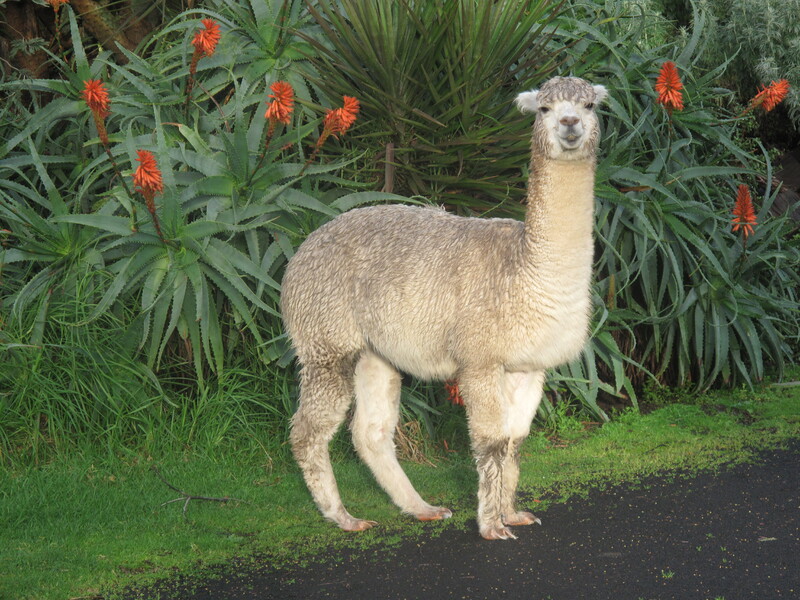 The alpacas are really quiet (except when they have skirmishes), but they won’t be patted. It’s a shame they don’t like to be patted, but I bet they are a lovely calming influence (expect during their skirmishes!). It’s always Uluru (the brown one) who attacks Okami first – might have to get them a couple of wives. Perhaps Anthony wants to remember the way he was (as I used to have a passport photo on my Gravatar that was taken 25 years ago). ……and I just went out to photograph our camellias too. I’ve got on 5% of what you’ve got on your trees. 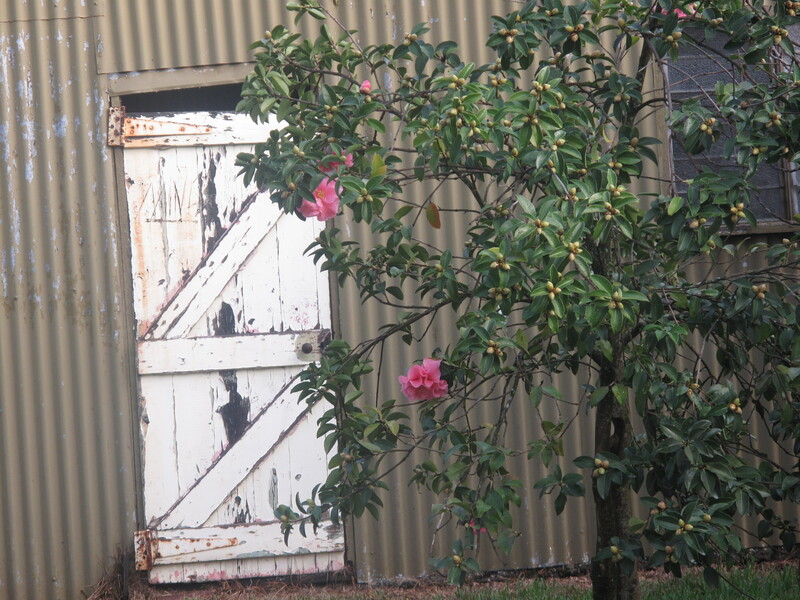 The camellias thrive here with no attention! Me too – I got them from the local shop! The flowers are gorgeous. As for the picture…think of it as the mirror Ants wants to look into yes? It stopped raining today. Spring is nearly here – yay! Yes, your anchor idea is spoton! Thanks so much for your ongoing moral support, Paulette. I would love to meet you. My mum and I have now read your book -BRAVO. Ok Mrs. Downunder! What the heck are wellys?! The rain boots? rubber boots, gum boots? It’s amazing how many languages are contained within the English language, right? The rain would drive me bonkers, but it is refreshing to see all the greenery. It’s so dry here in Texas! It will be the opposite in a few weeks – for both of us! Very nice pictures of the alpacas. Fab pictures. Husband and I would love to have alpacas. They are so cute. Even when wet. having some trouble leaving a comment:( just wanted to say that i love the pics and am impressed with your green thumb:) anthony may want to have a pic to confirm he was once young and healthy? No green thumb here! 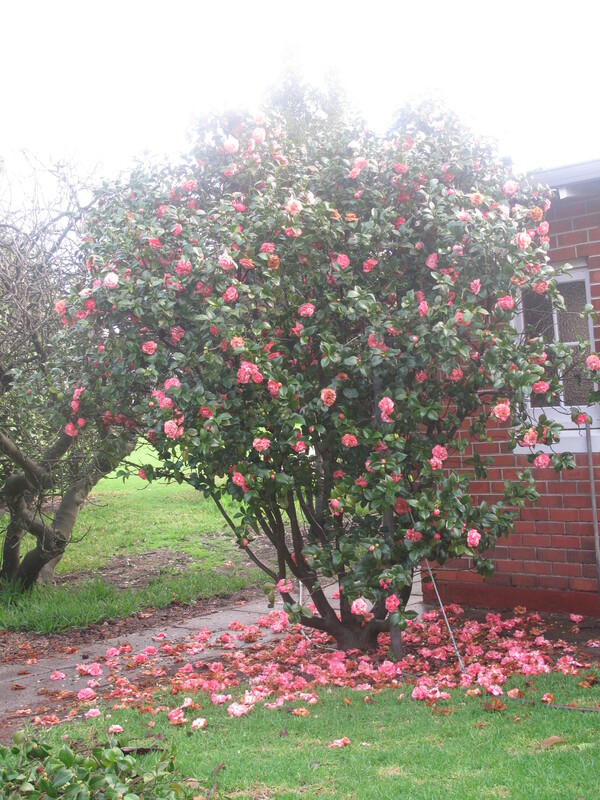 The camellias look after themselves – ha. Alpacas are so curious looking – I guess like our emus here in Oz. Don’t you have them over east? Everything looks ‘drooked’. That’s the Scottish word for very wet. Can also be pronounced ‘drook-ed’. A new word – thank you Jane! I hope someday I enjoy pictures of myself. Hasn’t happened yet. I love Anthony’s healthy esteem.